IDignity Osceola will host its next client services event on Friday, October 26, 2018. The event will be held at First Christian Church, 415 North Main Street, Kissimmee. Event parking is available in the lot at the intersection of Church Street and Brack Street. Event parking available in the lot at the intersection of Church St. and Brack St. THE EVENT SITE IS A NON-SMOKING CAMPUS. NO SMOKING IS PERMITTED AT THE EVENT. Clients who need Florida Identification/Drivers License or other identification documents should make an appointment via their case manager at our approved partner organizations. Those who don’t have a case manager can call the Community Hope Center at 321-677-0245 to become a client, be assigned a case manager, and get a reservation. Clients will be admitted between 9 AM and 1 PM based on reservations made through case managers of approved agencies. A reservation is NOT an appointment and does not guarantee a client will be seen at any given time. Reservations only ensure that a client will be admitted to the event. A valid U.S. passport, permanent resident card or immigration documents. Certification of Address form from person allowing you to live with them, along with their proof of residency. The name must match on all proofs Any difference will require additional documentation. If applicable Proof of enrollment in the DCF Access Florida Benefits Program (aka “SNAP” or “Food Stamps), such as a DCF Access card or award letter/printout. IDignity will try to assist in obtaining missing proofs. This process may require you to attend multiple events and it does not always work. Obtaining missing documents is subject to the requirements of the agencies who issue/maintain them, and the process may take several weeks to several months. 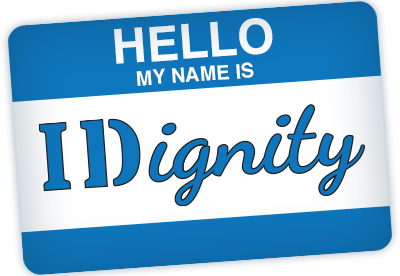 Please visit osceola.idignity.org/volunteer and complete the registration form. Volunteers are asked to serve from 7 AM to 4 PM.